Joining Bart this month are GazMaz from the MyMac Podcast, and Mark Chappell & Simon Parnell from the Essential Apple podcast. 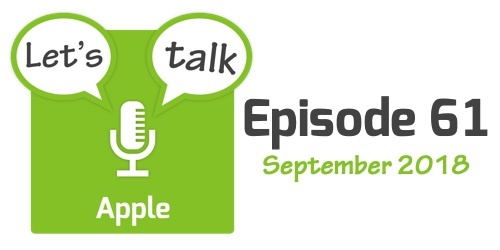 The show starts with a few quick followup stories, some updates regarding two on-going legal cases, and a quick look at some Apple HR-related news that broke in September. The three main stories are the new OSes Apple released in September, the new hardware announced at the Gather Round media event, and the mysterious disappearance of AirPower. The show finishes with a few other quick stories that made the news in September.